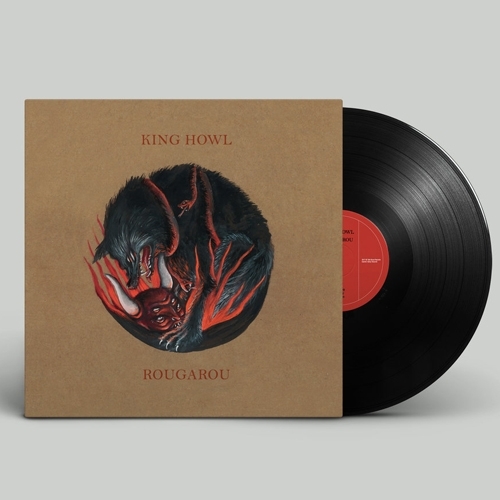 “Rougarou” is the third album of the Sardinian heavy blues band King Howl. Ten tracks of blues fueled – booze soaked Rock’n’Roll. A new proof for the band’s peculiar, distinctive sound defined through these years on the road. Here, the essential patterns of blues music are mixed again with a strong Rock’n’Roll attitude, that pushes the composition more to the side of 70’s Classic Rock, without denying the reference with other important influences like Stoner Rock, the late sixties proto-punk, the psychedelia. The tracklist is composed by 9 unreleased songs plus the band’s version of Canned Heat’s classic “On the Road Again”. “Rougarou” explores the thematic of the change, of the transformation, no matter If this is linked to the growing up of a kid, the romance of traveling, a nervous breakdown, or the mutation in a werewolf.